BYHOURS has officially launched in Manama, enabling users to select the desired check-in time to hotel rooms at any time during the day. The platform allows users to book hotel rooms in sets of three, six or twelve-hour timeslots. BYHOURS offers such flexibility in hotel stays in more than 3000 hotels in 25 countries across Europe, Latin America and the GCC region. This start-up is the first to introduce the concept of micro-stays and a pay-per-use finance scheme in the international travel and hospitality industry. It is aimed at international business travellers’ in-between meetings and for travellers spending time in cities for short layovers. In a move to enhance destination awareness and foster market visibility, the Zimbabwe Tourism Authority (ZTA) has appointed VFS Global to promote Zimbabwe as a preferred tourism destination in both India and GCC region, through a collaborative relationship. The agreement was officially signed by Karikoga Kaseke, Chief Executive of the Zimbabwe Tourism Authority at the Zimbabwe Tourism Authority Office Boardroom, Harare in the presence of other eminent dignitaries from VFS Global, travel and trade fraternity. A world of wonders, Zimbabwe prides itself to being home of the Majestic Victoria Falls; one of the Seven Natural Wonders of the World and a World Heritage Site that is the biggest curtain of water in the world in the Zambezi River. 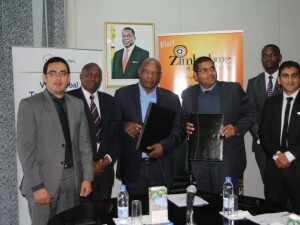 As part of the agreement, VFS Global would support ZTA to build a unique identity of Zimbabwe as a potential tourist destination by educating and spreading awareness to tour operators, travel agents, MICE planners and the general traveller based in India or GCC region. For the first time, VisitBritain aims to promote the luxury horse racing itineraries to horse racing enthusiasts in the region and inspire them to book these experiences. Their recent ‘I Travel For…’ digital marketing campaign uses short-films and story-telling to market unexplored destinations in Britain, alongside its globally renowned landmarks and attractions. For centuries, horse racing has been linked with the English monarchy. 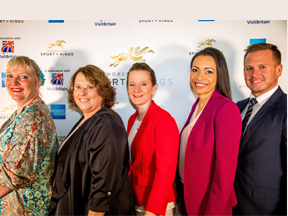 It is called the sport of kings because of its strong association with royalty and nobility. The history of England is the history of horse racing, from its humble beginnings to today’s Royal family’s continuing passion and patronage of the sport. A day at the races is an opportunity to experience English history and tradition at its best. 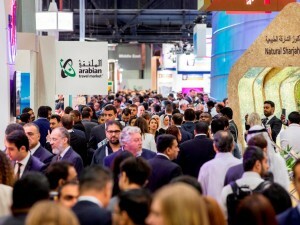 The number of Russian tourists travelling to the GCC in 2020 is expected to be 38 per cent higher than the arrival figures recorded for 2016, according to data published recently by Arabian Travel Market (ATM) 2018, set to take place at Dubai World Trade Centre from April 22-25, 2018. As the UAE has started granting visa on arrival earlier last year, there has been quite a rapid growth of Russian tourists to Dubai. Looking at the economic drivers, the value of the Russian rouble is stable and firming gradually, helped by Russia’s decision to join OPEC and cut oil production. Over the last 25 years, Russia has been well represented at ATM, with exhibitors including Moscow City Government, National Tourist Union and the city of St Petersburg. Russian visitors to the exhibition increased 17 per cent YOY between 2016 and 2017 and 9.4 per cent of total visitors last year were interested in doing business with Russia. 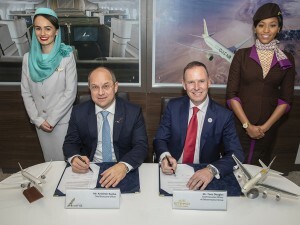 Russia’s links with the GCC strengthened in 2017 with the introduction of additional airline routes, visas on arrival in the UAE for Russians, new generation of leisure attractions, retail destinations and a broad range of hotels and resorts across the GCC region. 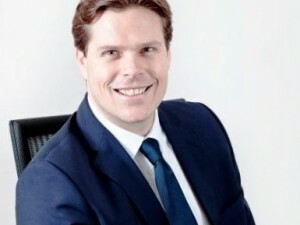 Tink Labs Limited has appointed a GCC Management Team to drive the rollout of its mobile travel solution ‘handy’ across the region. ‘handy’ is an innovative smartphone provided as a complimentary amenity in partner hotel rooms. 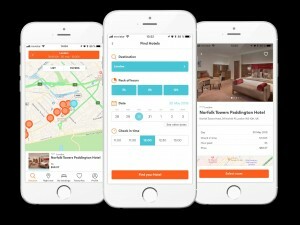 It integrates the hotel services as well as offers travellers unlimited connectivity on the go, free-of-charge international calls and tailored travel guides. 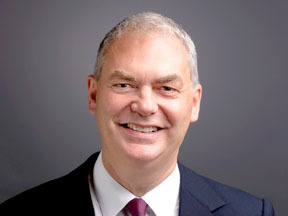 Heading the management team is Sverre Christiansen, who joins here as General Manager – GCC, Tink Labs Limited. Talking about the product, Christiansen explains, “handy not only helps hotels with providing their guests with a device that assists them in travelling across new destinations through tailored city guides but also in extending their in-house marketing and concierge facilities via an easy-to-use smartphone. Moreover, available with pre-installed mobile applications, it can show details of discounts and promotions and allow visitors to remain in contact with their hotel and personal network at all times.” With the support of the Dubai Department of Tourism and Commerce Marketing (DTCM), Tink Labs has already delivered a successful pilot project in Dubai in association with Fairmont The Palm, Le Meridien Mina Seyahi, The Westin Dubai and Dusit Thani Dubai.